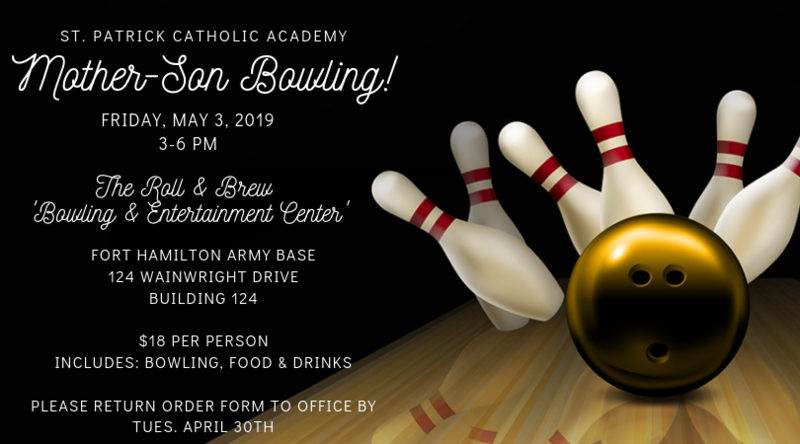 Mother-Son Bowling: May 3, 2019! Below is the Chicken Thursday & Pizza Friday Lunch Order Form for May 2019 – June, 2019. We are also doing a pilot program with Quesadilla Mondays! 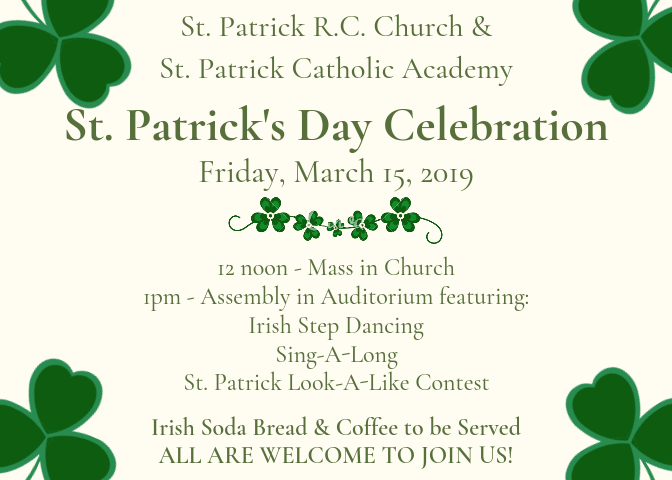 Please download the form below for more information, and return the tear-off order sheet to school with your payment. Only cash or checks will be accepted. If you have more than 1 child, please fill out separate order sheets for each one. 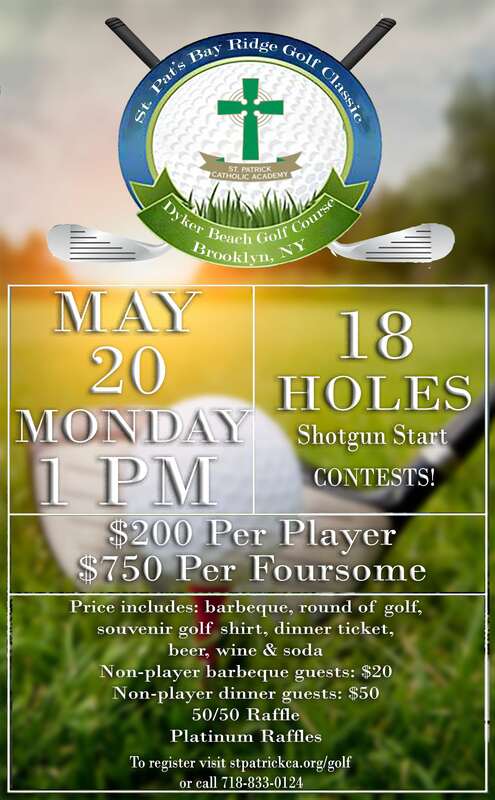 Registration Now Open for our 2019 Golf Classic! National Grid is doing work on 97th Street. Starting tomorrow 3/29, all DISMISSALS will be from in front of the CHURCH until FURTHER NOTICE! Night Out With Friends Volunteers Needed! 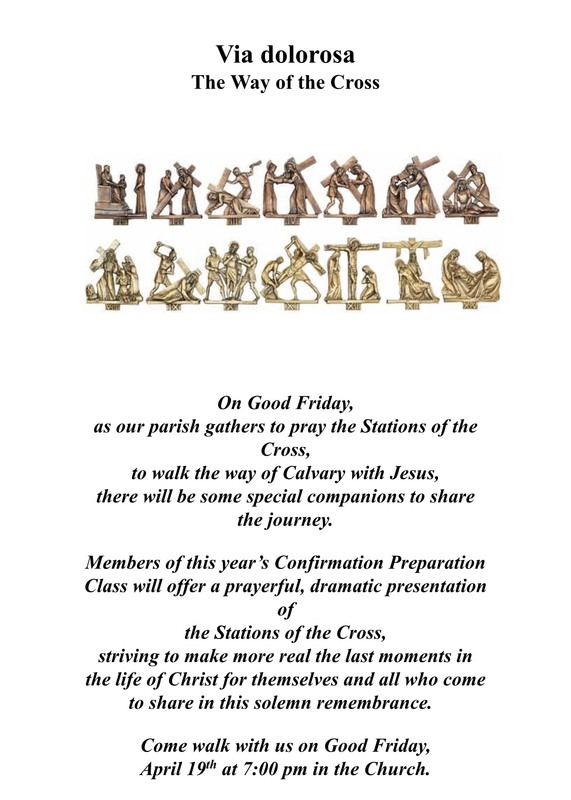 Parents, please read the attached letter below from Thomas Chadzutko, Ed.D., Superintendent-Catholic School Support Services for the Diocese of Brooklyn. 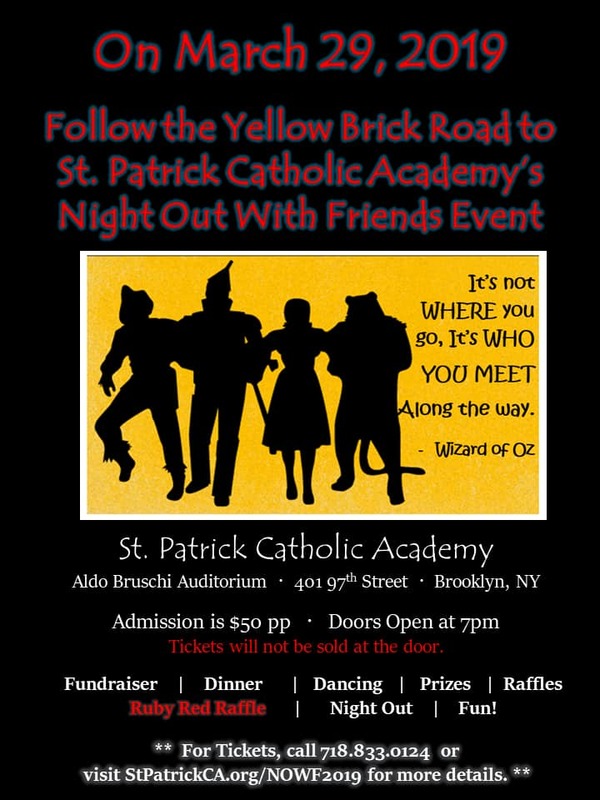 Calling All Volunteers for Night Out With Friends! If you would like to volunteer for our annual Night Out With Friends to help wrap baskets, set-up for the event, make decorations, or help out the night of, please sign up by using the link below. 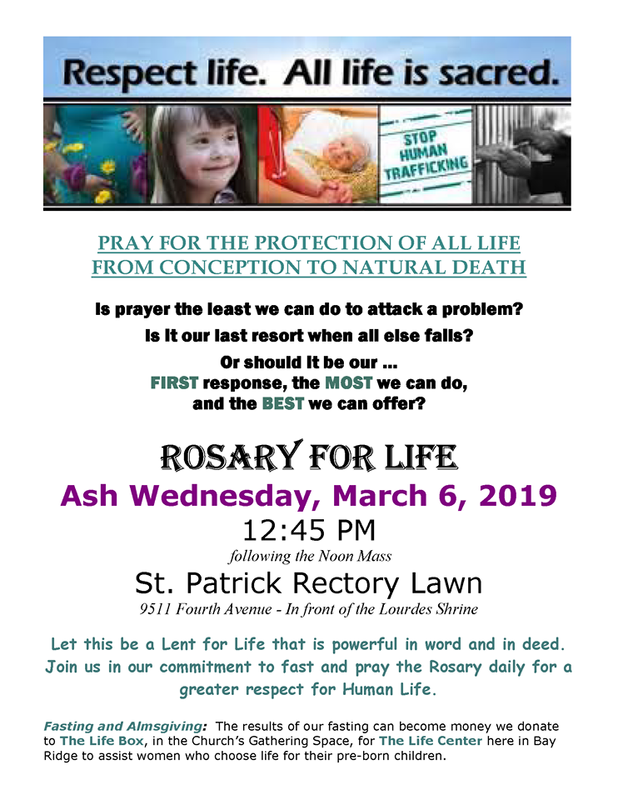 The St. Patrick Parish Lenten Devotion will be “Respect Life.” There will be a public praying of the Rosary on the Rectory Lawn in front of the Shrine to Our Lady of Lourdes on Ash Wednesday following the noon Mass.